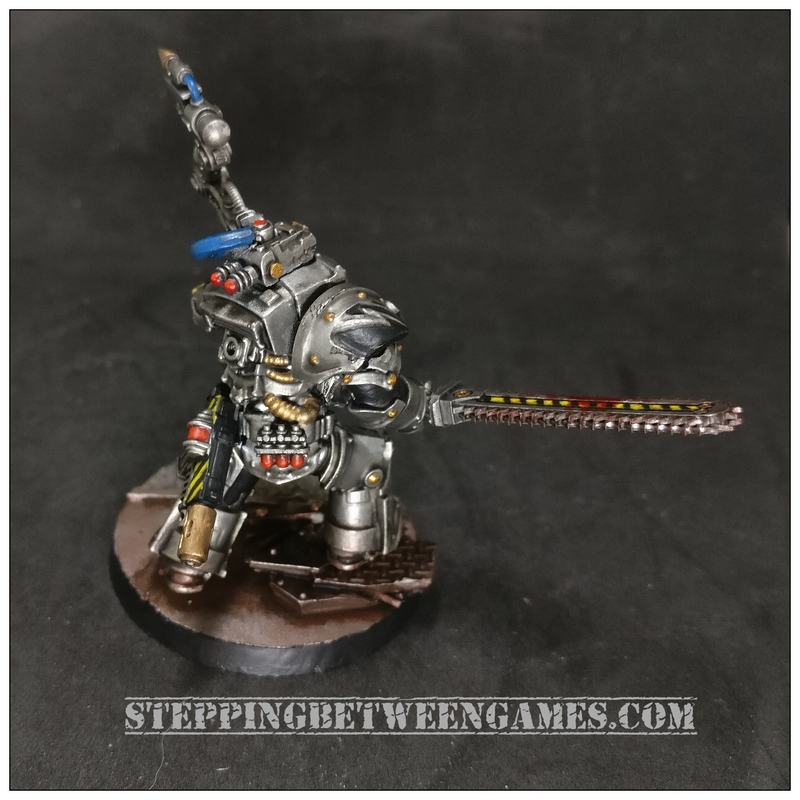 Finally got my Iron Warriors Warsmith finished. 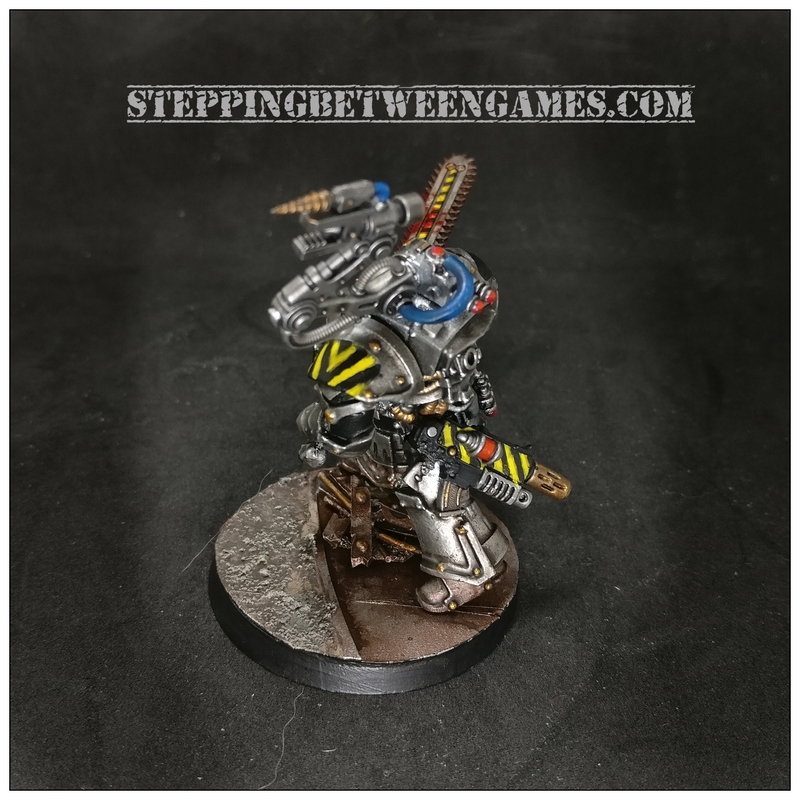 He is now ready to join my Iron Warrior Breachers. Part of my small but ongoing Horus Heresy collection. My Warsmith Curax is based off the limited edition Centurion that Games Workshop had out a couple of years ago. But it looked a little plain to me so I made some modifications. Namely a servo arm from some random parts and the arm itself from an AdMech Onager. A combi melta and extra power cells are strapped to his side and back respectively. But the standout detail of course is the changing of the paragon blade for something with a little more heft. A giant chain blade from Conversion World. With some advice from Joe (over at Broken Paintbrush), I went and broke up some of the metal with black armour plates. I tried not to go overboard on the Blood for the Blood God technical paint. Hard to get it to make a presence without going overboard. Still I think it could double as a chain fist in a pinch. All in all I am fairly pleased with how he looks overall, as ever I am a terrible self critic. 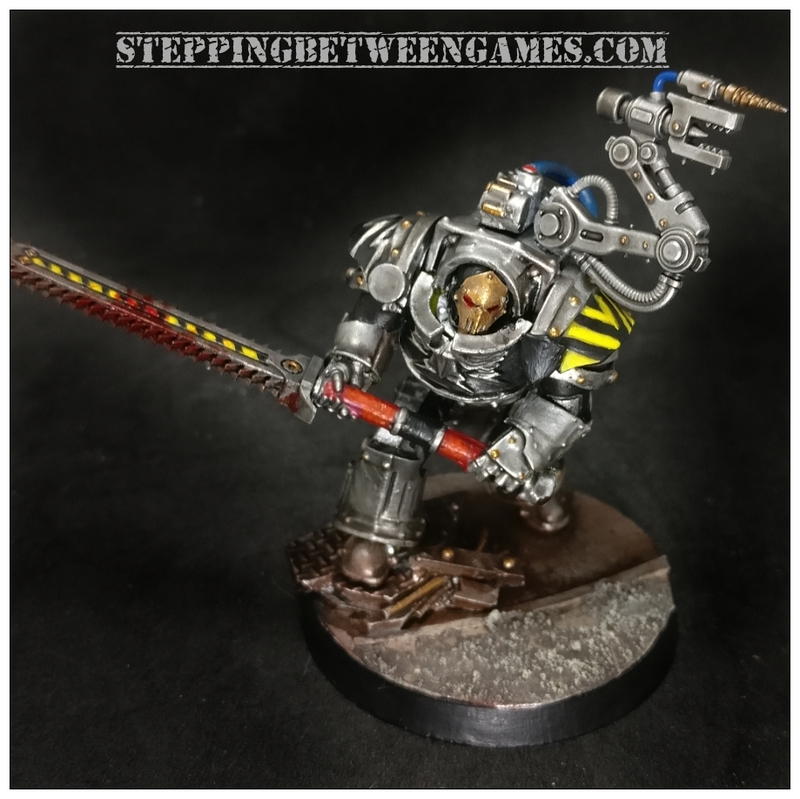 But I think that it makes for a unique looking character to lead my Iron Warriors, from the Heresy onwards. So what has everyone else been up to? 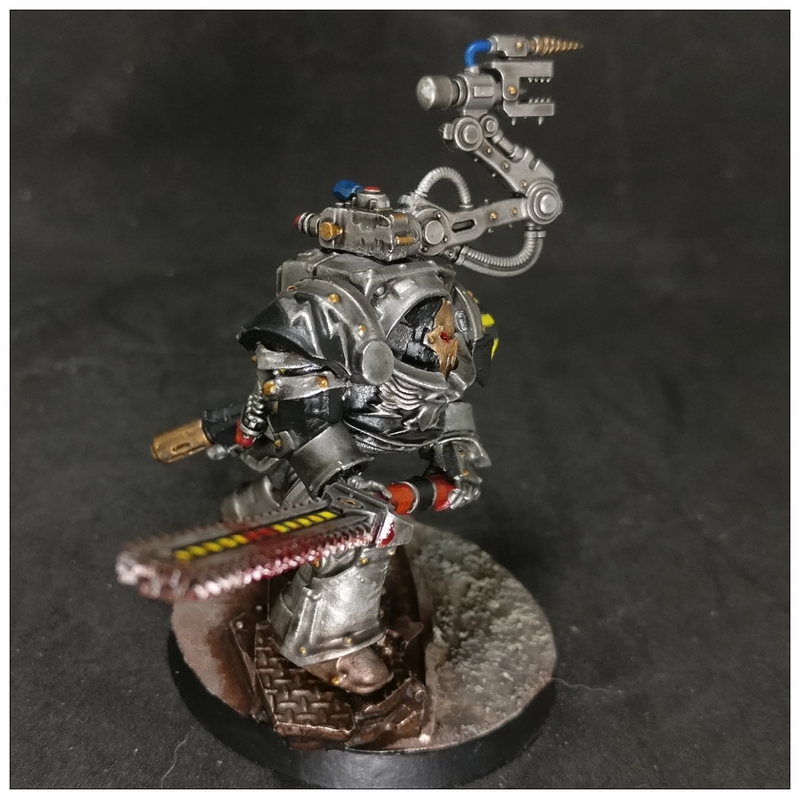 What do you think of my Iron Warriors Warsmith?